Based on purchase price of $299 at 0% APR for 18 months. Excludes tax and shipping fees, to be calculated at checkout. Rates range from 0-30% APR. Choose from 6, 12, or 18 monthly payments. 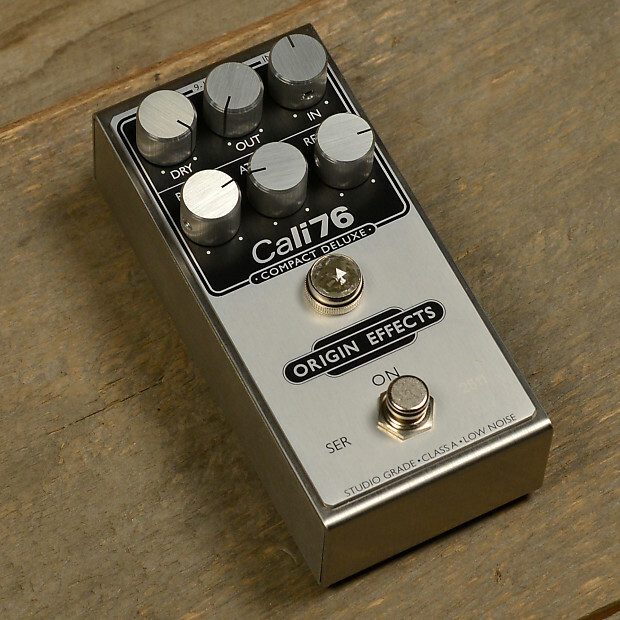 This Origin Effects Cali76 Compact Deluxe is in great condition! Barely used, and includes original packaging. The Cali76 Compact Deluxe is an 1176-style studio-grade FET compressor, featuring high-current, low-noise, discrete Class-A circuitry and a dedicated parallel compression control… all contained in one compact, stompbox-sized package! We’ve managed to build all of the functionality from our flagship Cali76 Standard into this little marvel – and we’ve added the much-requested parallel mix control previously only found on our limited editions. Separate controls for Attack, Release and Ratio let you precisely tailor your tone, from transparent transient control to flat-out limiting and monster sustain. Meanwhile, the elegant jewel lamp functions as an intuitive three-colour gain reduction meter. 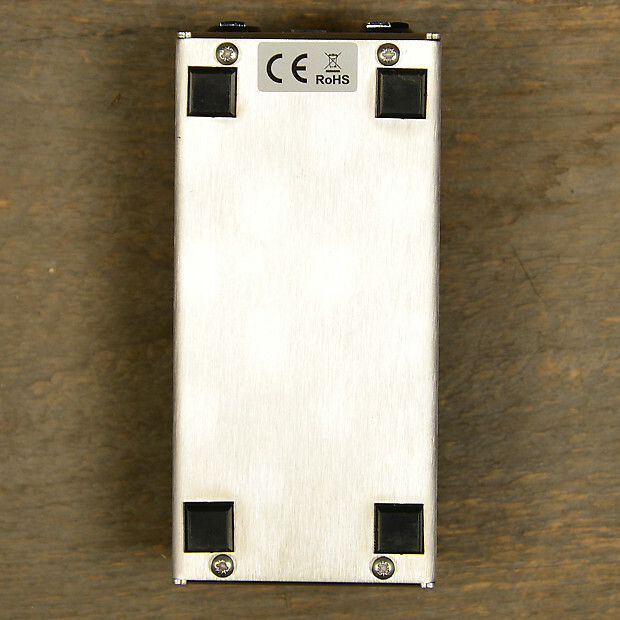 The ace in the hole is the Dry Blend control, which lets you mix your dry signal back in with your compressed guitar tone for true parallel compression. 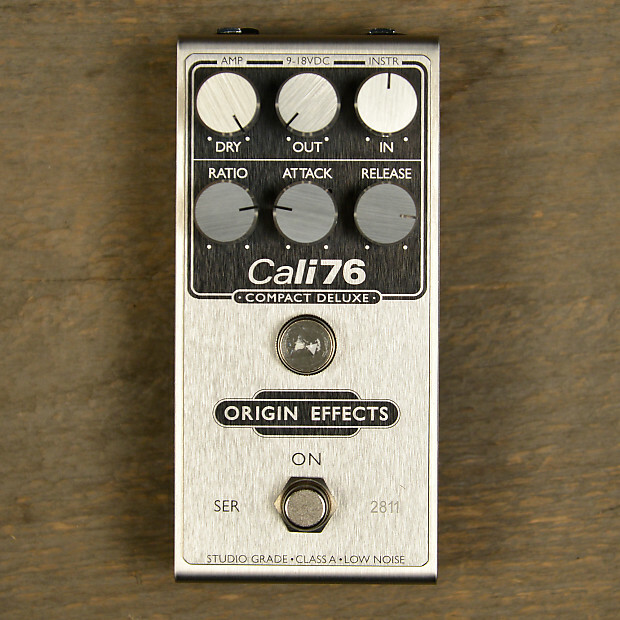 An indispensable studio recording technique, parallel compression gives you all of the tone thickening and increased sensitivity of the Cali76, while keeping hold of the natural dynamic expression in your playing. It’s the ultimate in transparent compression and sustain. By blending your “honest” guitar tone together with more subtle compression, you can also create the kind of three-dimensional, sparkling tone that you’re used to hearing on records, not coming out of your amp.